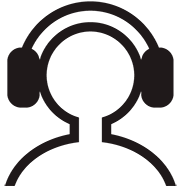 ← ICE CREAM SOCIAL COMING SOON! 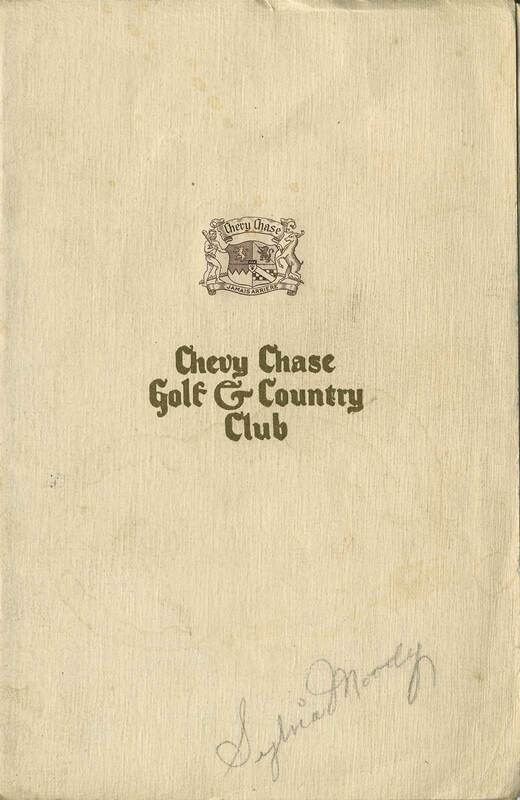 A treasure trove of never seen canyon history has been donated to the Chevy Chase Estates Association and we would like to share the highlights. 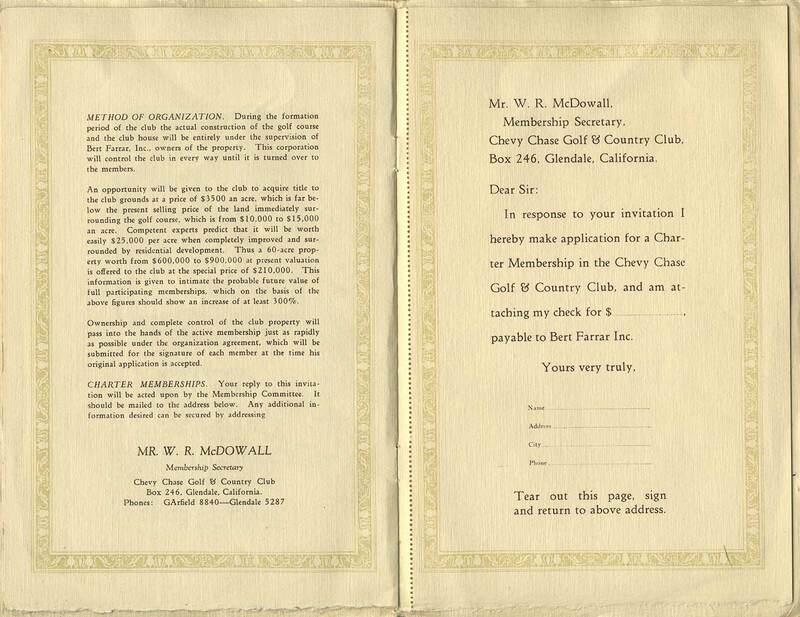 Most of these documents detail the early years of our canyon development as the founder Bert Farrar laid out his plans for the canyon and then proceded to build it. 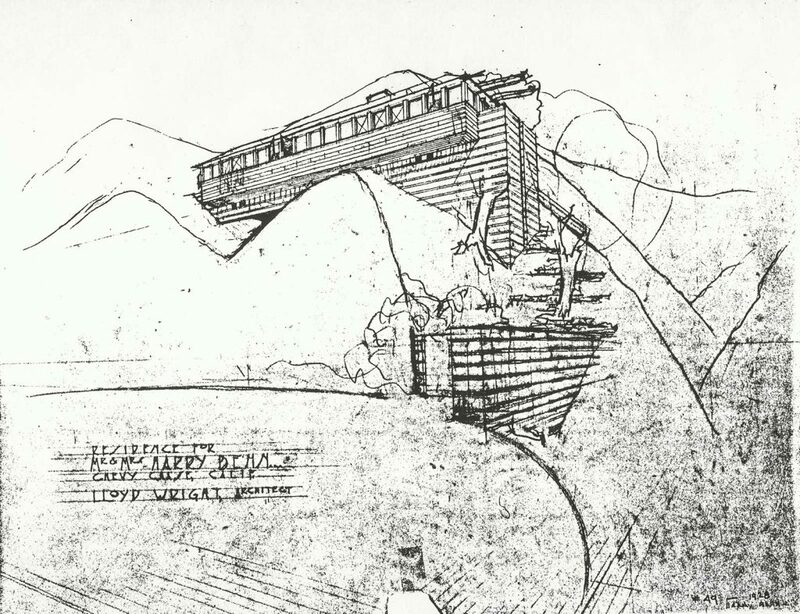 The first item is a tantalizing hint of what could have been, the sketch of a never built canyon hilltop house by the architect Lloyd Wright, famous around these parts for having designed The Derby House on Chevy Chase Drive. 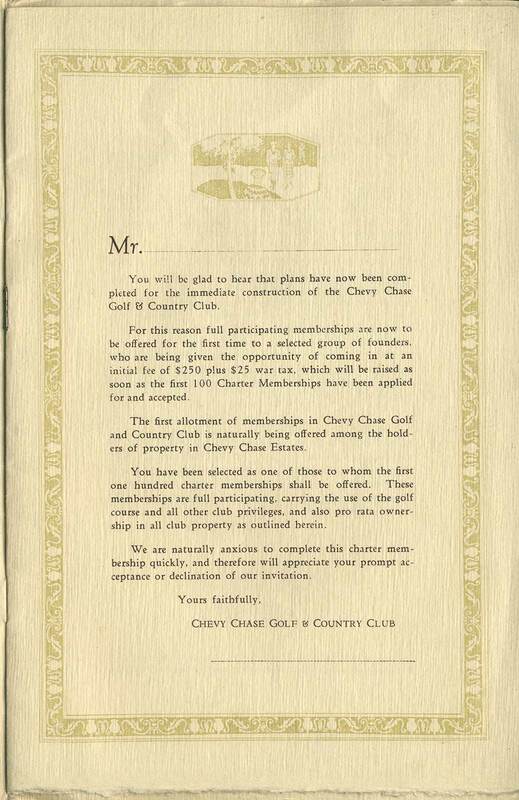 Next, full memberships in the Chevy Chase Country Club can be had for $250. The year was 1925 and one also had to pony up the $25 war tax. 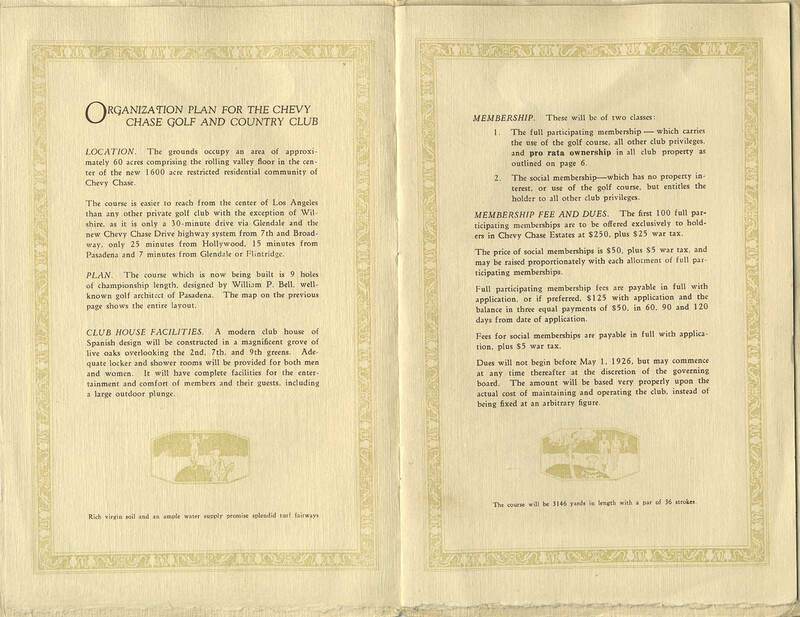 The Club hadn’t actually been built yet but the layout is described in detail in their first brochure. For a full-sized gallery click on the two arrows upper right. 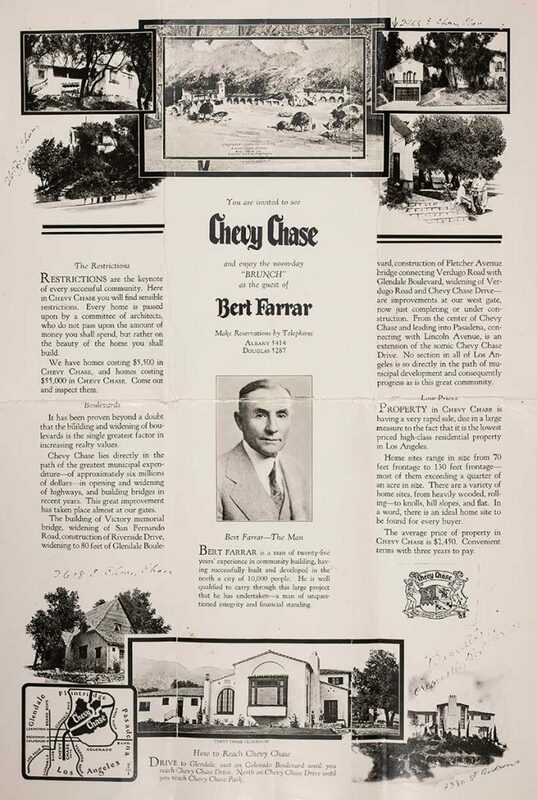 As the first homes and country club were being built Bert Farrar placed an ad in the local Glendale paper describing his vision of Chevy Chase Estates. For easier reading, one can click on the photo below to download a PDF. 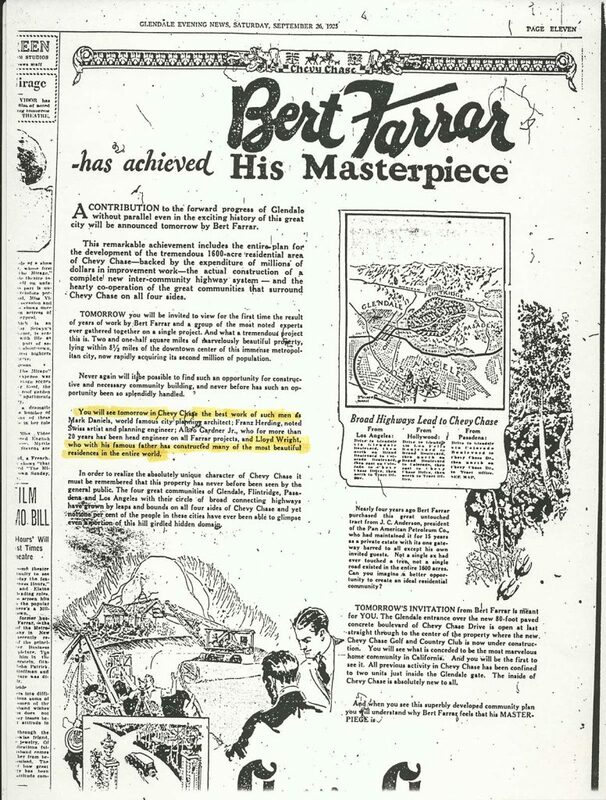 And finally an invite poster Bert Farrer created offering his guests a free brunch so they could see for themselves all the magnificent progress way up in the canyon. 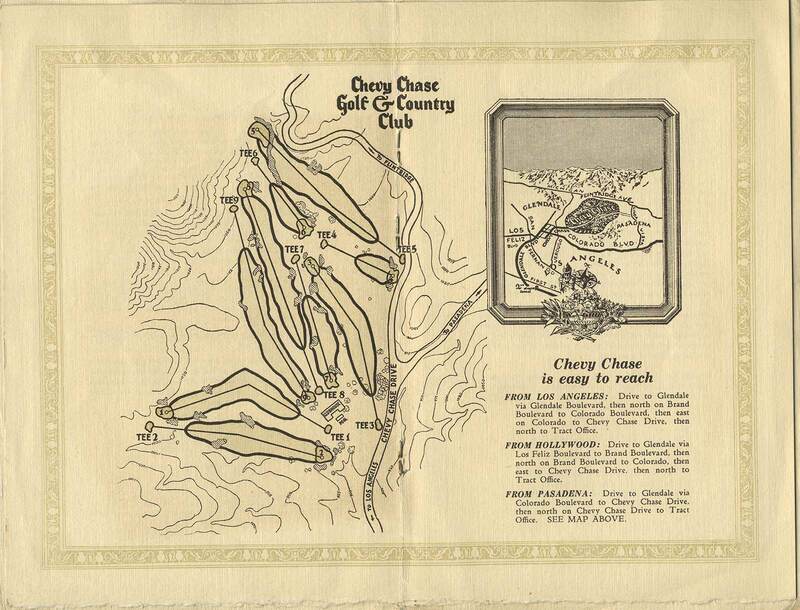 Note the country club and many of the original homes have been completed and are pictured. Also of interest are the sketches of a proposed but never built shopping center. Clicking on the image will allow one to download a large PDF so all the details can be seen. Big file. How about pictures of the San Rafael Hills before their tops were shaved? Seeing these things was so exciting for me. My mother and her first husband purchased their lot in Chevy Chase in 1930 and began construction of the house I later grew up in in 1931. 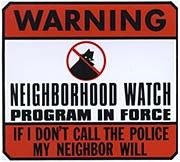 It was located at 1533 Golf Club Drive and Sylvia Moody was our next door neighbor on Edmonton Road. Sylvia was a dynamic personality and a hard worker at anything she became involved with. Seeing her name on the booklet brought back many memories. William, you have good eyes to spot Sylvia Moody’s name. Her name is a constant in all our Chevy Chase history. Life sure has changed. The old build what you individuals want is now so cost preventive and micro managed by an expensive design review process! Great thing to have when your palace is complete and cozy. Not such a great thing when you want to redo your old dilapidated shack! Great analysis you’ve made! I like observing traits from a person’s handwriting. Yes, we are all taught a standard way of handwriting and how we deviate from the norm says something about our personality. The immature part was due to her doing a circle dot on the “i”. Walt Disney did the same thing. You hit the nail on the head. She was very much like what you described. She was a lot of fun and did all of her own work to save money to have parties. When she was in her 70s she painted the exterior of her home all by herself. When she dressed up to go out she would wear an arm full of bracelets necklaces and all sorts of things as well as Furs that were popular in those days. She loved animals and adapted her garden just for her six cats that she had saved when a neighbor had moved out and lock them in the house to die. Her husband was very quiet and peaceful and just went along with whatever Sylvia wanted to do. Thanks William that’s the kind of history that should be written.